New Delhi: The Unique Identification Authority of India (UIDAI) has shelved plans to issue Aadhaar smart cards, in possibly the first sign of the constraint it faces as it is mandated to enroll only 200 million residents, or about 15% of the country’s population. The authority initially planned to communicate the Aadhaar numbers only via letters but decided a few months ago to issue smart cards that would have bar codes containing the Aadhaar number and demographic data. The plan was conceived to make it simple for people to access various services such as banking and government subsidies through Aadhaar by merely swiping the cards. R.S. 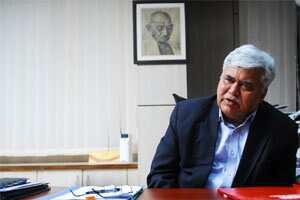 Sharma, director general of UIDAI, said the authority has cancelled its tender for the smart cards as it is constrained by the policy decision of enrolling only 200 million people, after which the National Population Register (NPR), being implemented by the Registrar General of India alongside the Census 2011 exercise, will take over. UIDAI has enrolled 120 million people so far and expects to cover 160-170 million by December or January—the time the tender was to be finalized. Only the remaining 30-40 million people could have been issued Aadhaar cards then “and that would not have got us the best prices from vendors," said Sharma, explaining the rationale behind the cancellation. UIDAI had invited bids from vendors to print around 150 million cards in the first phase. Of the 120 million enrolments, UIDAI has issued Aadhaar numbers to nearly 60 million people and has been issuing one million numbers every day from October. An expert who has been involved with UIDAI as well as NPR said UIDAI’s plan to issue smart cards was too ambitious. “They should stick to their original mandate of issuing just numbers as NPR is already issuing cards, which will have the UID number printed on it," the official said. UIDAI spends Rs100-150 per enrolment and issuing cards would add Rs50-100 to the cost, he said, asking not to be identified due to the sensitivity of the matter. “That money could be used to double the number of enrolments that UIDAI does to ensure the momentum is maintained and UID-linked services are rolled out quickly." The expenditure finance committee recently approved around Rs8,800 crore for UIDAI to build its backend operations and pay its agencies for the enrolments. The authority pays Rs50 per enrolment to its registers. The government has set a target of 600 million Aadhaar numbers by 2014 but has so far allowed enrolment of only 200 million people by UIDAI. NPR is supposed to feed the UIDAI system with biometric data after that, which will be de-duplicated by it and Aadhaar numbers issued. UIDAI plans to approach the Cabinet Committee on UID to ensure continuity of the project and has sent a note to its parent body, the Planning Commission, which will forward it to the Cabinet for a decision.